Cathy Hobbs believed in CSP so much. She is now an instructor! The leading real estate home staging accredited education provider in the world! What that means to you is by earning your home staging certification you will be able to leverage & market the many attributes which contribute to the CSP® Academy’s reputation for excellence, quality standards and results. Meaningful certification is as important to the real estate transaction as a real estate license is to an agent. We help new, struggling and existing home stagers go from where they are – to where they want to be. CSP International™ Staging Academy is a successful incubator for you as a ‘fledgling’ entrepreneur with a decorating flair. We teach and coach you to take control over your destiny, while building a successful and profitable staging business of your own; everything you need from set up, managing and passionately growing a lucrative staging business- one you will be proud of. CSP® Staging Academy provides the learning, support, knowledge, best practices and leading marketing trends, positioning you as an expert in the home staging market. The support continues after your certification with on-going learning sessions, group coaching, training courses and even marketing materials to help you succeed. Graduates of the Academy benefit from our reputation for excellence in education, which helps you gain credibility and recognition as you market and develop your business. Live, hands-on staging certification courses are offered throughout Canada, United States, and Australia with continuing education and professional development courses continuously offered online to further your home staging business. We are your home staging resource. Home staging training blog – home staging information and help. Sign up to receive a FREE information package! 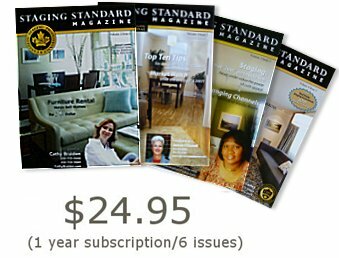 CSP® Home Staging Designation the real estate industry recognizes everywhere! Christine, thank you for providing such an amazing experience through your CSP® Course and for the opportunity to receive such great education of the staging and real estate marketing industry. 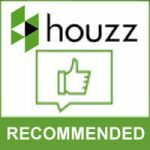 I am so glad that we were able to take part in an onsite staging assignment as the phenomenal results that were achieved has given me the confidence needed and the ability to showcase my skills as a staging expert. The guidance and support that you provided can not be measured as having you by our side when needed made a world of difference and was such a positive experience. It is my pleasure to share with you my excellent experience with Christine’s CSP training in Home staging. I am based in Prague, Czech Republic. I took trip from central Europe to Florida to take this training and I can honestly say it was one of the best decisions in my life and worth every dollar that I spent (for training and travel). Today approximately year after training I am having great success implementing home staging practice in my real estate business. My main expectation for this training was to find out how to do home staging and very appealing was the “practice day”. The rest of the program I thought would not be that interesting for me since I know a lot about it. CSP International is The most comprehensive and detailed staging academy out there. Expert knowledge through tried and true experience in the industry, incredible Work ethics and standards surpassing private business and the application of Staging and design concepts established by the instructor and founder, Christine Rae ( a remarkable woman) make CSP the most logical staging destination . CSP International is the complete staging academy where stagers are educated in strategic marketing, the industry, business practices, establishing your staging business, staging properties as an investment and staging vacant properties and staging for living.